So an Astronaut Happened By with His Omega X-33 the Other Day… – I Already Have a Watch. All things considered, the watch collecting community is fairly small in the grand scheme of things. And even more so, my blog and webpages are probably a pretty tiny drop in what’s already a very small bucket. It’s easy to start thinking that my writings here have an audience consisting mostly of myself, a few collectors with too much time on their hands, and occasional passers-by who wander in accidentally by way of Google and other search engines. I’m speaking in something of a vacuum perhaps, or so it might seem. But a few weeks ago an actual astronaut himself happened by and commented on one of my pages. I’m honored, and even more so by the fact that he took the time add some detail to the article for the sake of us collectors. So apparently my speculation about the intended usage was at least slightly off, but I’m glad for the clarification that has helped enlighten us all. And I’d just love to see a photo of that X-33 floating in front of a porthole with Earth in the background. 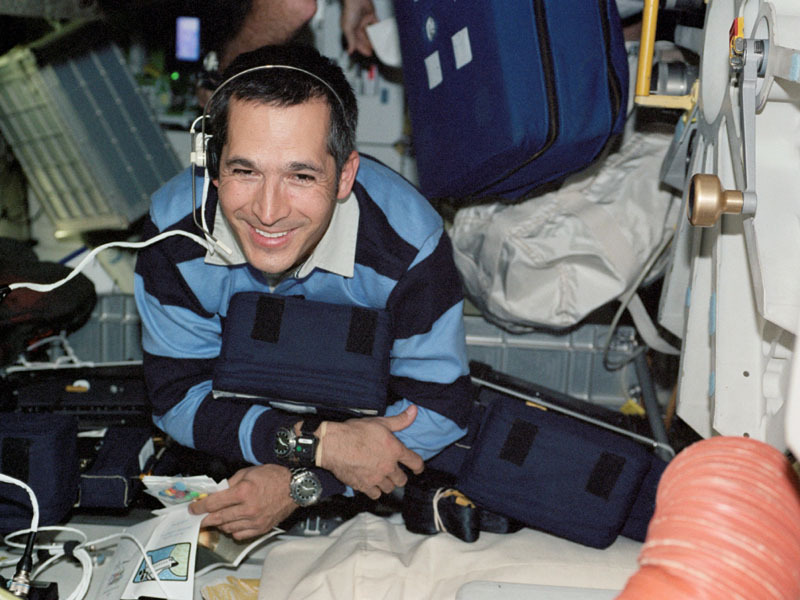 Since leaving NASA, CDR Herrington has been quite the busy guy. 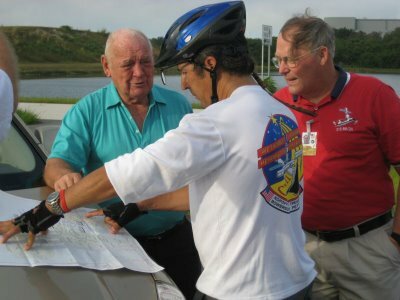 In fact, one of hist latest endeavors was a 4,000+ mile “ROCKETREK” cross-country bicycle trek to promote education and student interest in Science, Technology, Engineering, and Mathematics (STEM). CDR Herrington at the end of his trek at Cape Canaveral, Florida, wearing his trusty "flown" Omega X-33. That’s the cool thing about the internet, Ryan. You may think that you’re talking to yourself and that no one would bother reading your ramblings, and then something like that comes along. Encouraging, no? Keep on keeping on, sir!